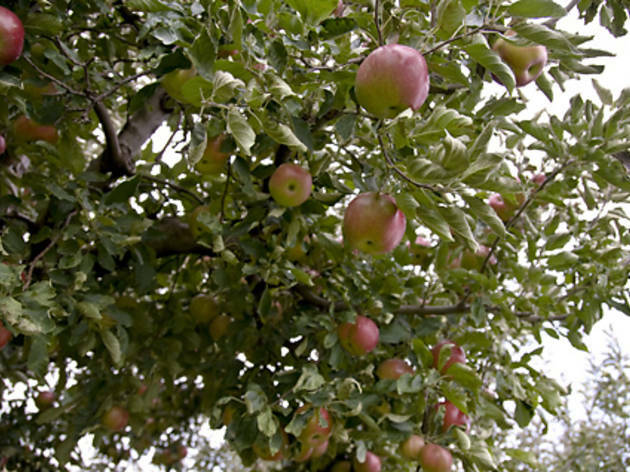 Hit these Chicago-area orchards for a bit of fresh air and fresher fruit. 1N318 Watson Rd, Maple Park (815-827-5200, kuipersfamilyfarm.com). 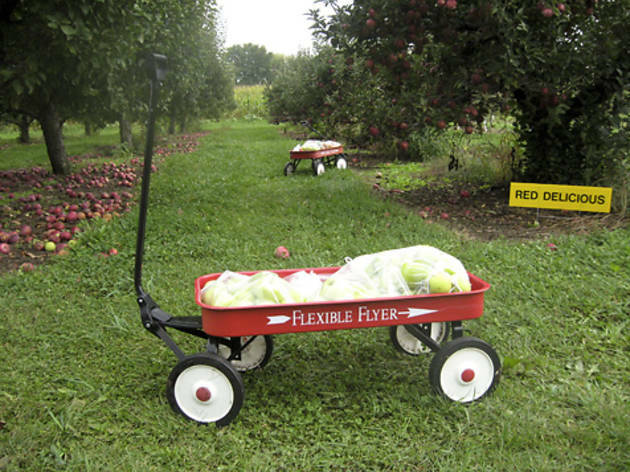 Open daily late Aug–late Nov. Take a hayride to the orchard, where visitors fill bushel baskets with more than 20 varieties of apples, including McIntosh, Jonathan and Granny Smith. The return trip leaves you at the general store stocked with pies, caramel apples and cider doughnuts. 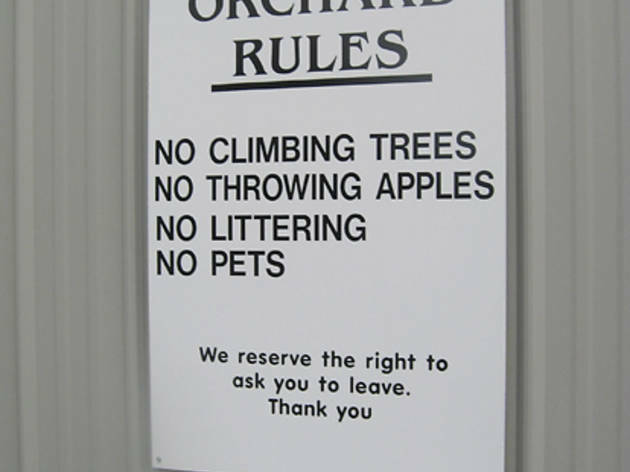 Apple picking available only Saturday and Sunday. 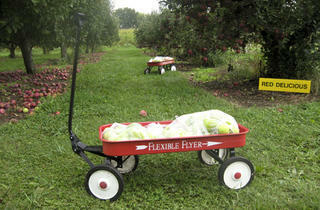 Cost Hayride, including a quarter-peck (three pounds) of apples, $10 per person. 1050 Crest Rd, Green Oaks (847-770-3449, heinzorchard.com). 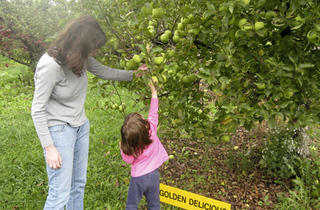 Open weekends Sept 3–late Nov. Heinz bills itself as a “no frills” pick-your-own orchard. 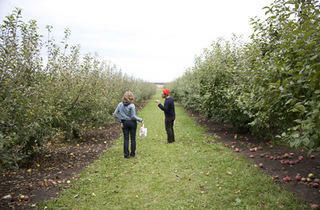 It’s a small, family-run operation with a dozen varieties of apples, but no corn maze, concessions or hayrides. 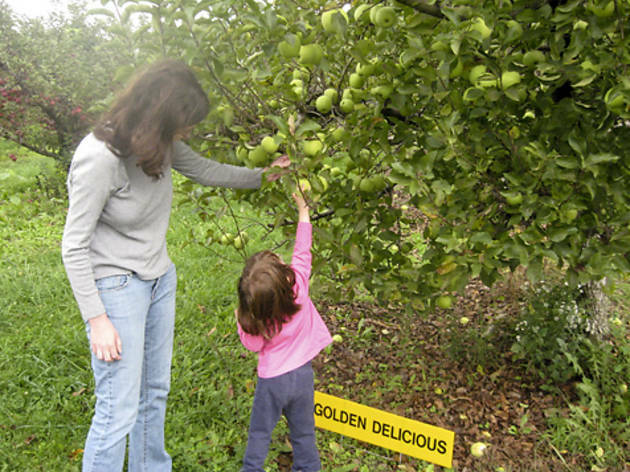 The orchard does sell organic honey harvested from its own beehives. 15908 Hebron Rd, Harvard (815-648-4141, royaloakfarmorchard.com). Open daily late Aug–late Nov. Closed Sundays. 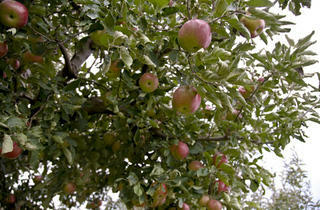 Royal Oak has more than 12,000 trees and 26 varieties of apples, plus late-summer raspberries. 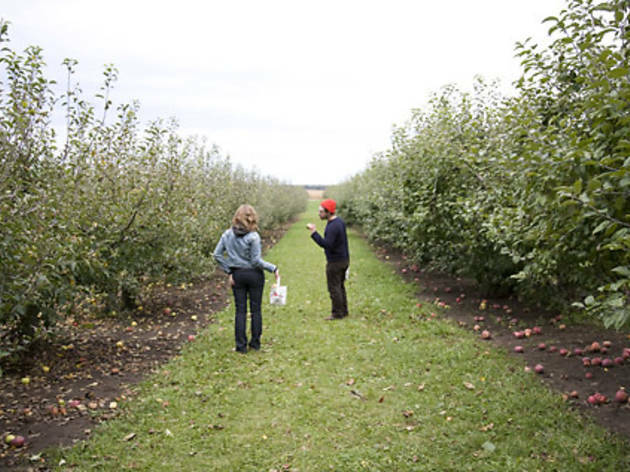 The orchard provides containers for pick-your-own types, and the store features doughnuts, caramel apples, pies and a Royal Oak specialty: apple-cider slushees. 14510 Rte 176, Woodstock (815-338-5637, allseasonsorchard.com). Open daily Sept 4–late Nov. Visitors are greeted by chickens, billy goats and llamas at the free petting zoo. 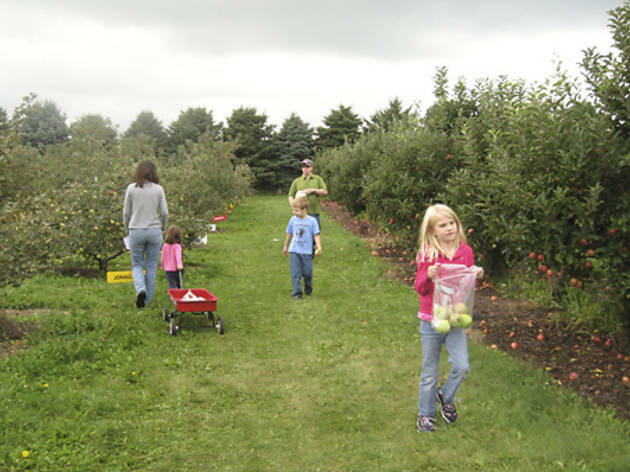 Take a hayride to the orchard for picking, then treat the kids to pony rides ($3), a horse-drawn wagon ride ($3) and cider and doughnuts in the market. 19412 Shabbona Rd, Malta (815-825-2158, jonamacorchard.com) Open Sept 4–Nov 24. 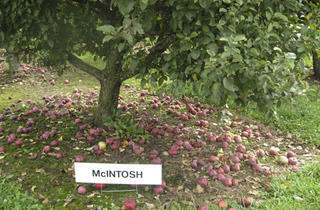 This orchard is about an hour and 20 minutes west and offers pumpkins to pick and pre-picked apples. 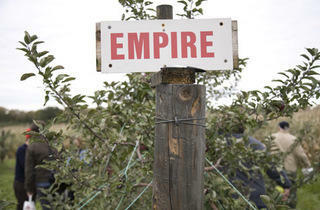 Lose yourself in the petting zoo ($6), ten-acre corn maze ($5) and an apple launcher ($2). 4914 N Union Rd, Union (815-923-4834, prairieskyorchard.com). 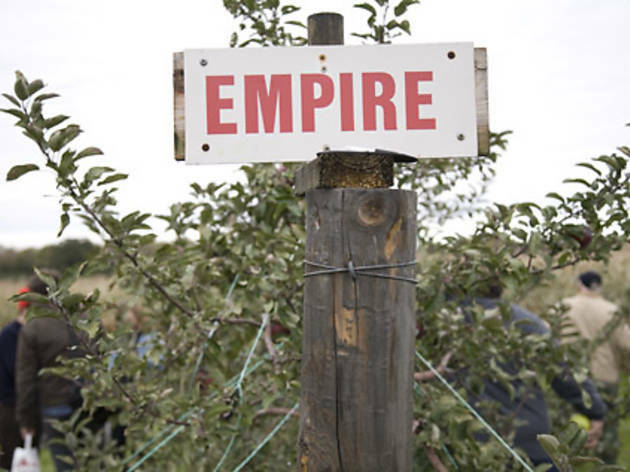 Open daily early Sept-late Oct. For a more mellow experience, trek an hour and 10 minutes northwest to this orchard, which has three varieties of pre-picked apples as well as pre-picked pumpkins. 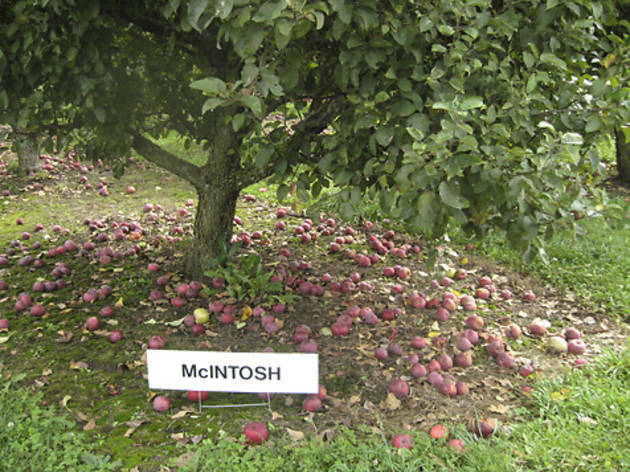 Apples cost $1.35 a pound. On weekends, try the cider doughnuts and cider. The orchard also offers you-bake pies (frozen pies that you put in the oven for an hour), gourds, squash and gourmet foods like salsa and jam. Pumpkins go for 40 cents a pound. 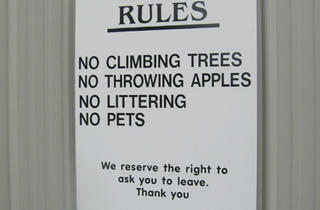 850 Butterfield Rd, Aurora (630-897-7215, abbeyfarms.org). Open weekends Sept 22–Oct 28. The monks of Marmion Abbey operate this patch, using the proceeds to fund their charitable endeavors. 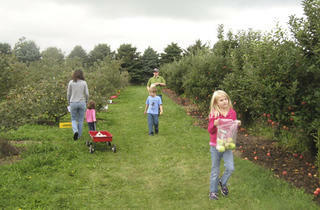 The emphasis is on affordable fun: Think hayrides, a corn maze, inflatable rides and face painting. 3709 Miller Rd, McHenry (815-675-6396, stadedairyfarm.com). Open May 1–Oct 31. The annual Shades of Autumn festival features free hayrides to a pick-your-own patch, musical entertainment and some free children’s attractions, including a hay-bale mountain and a row of vintage tractors. The market sells a large variety of farm-grown fruits and vegetables, doughnuts, cider, brats and pumpkin-pie slices. 5300 167th St, Tinley Park (708-560-0306, fvfarms.com). Open Fridays and Saturdays, Oct 6–28. This equestrian center is converted into a haunting hot spot for an annual fall festival. Visitors get a hayride to a pumpkin patch and entry to a petting zoo for $5. Groups can arrange a private “haunted” hayride for $10 a person. There also are pony rides and inflatables.